Tycoon Henry Sy Sr., the country’s richest man who rose from being a penniless Chinese immigrant to leading a multi-million dollar business empire, died Saturday. He was 94. “It is with deep sadness that we inform you [of] the peaceful passing of our beloved chairman emeritus, founder and Tatang, Henry Sy Sr. this morning,” SM Investments said in a statement. SM Investments said the internment details were still being finalized by the family. “We are truly grateful for the outpouring of sympathy on the passing of our father Henry Sy Sr. May we ask for privacy today to give the family time to reflect and finalize the arrangements,” it added. The industry captain, from the Chinese city of Xiamen, made his fortune with a Philippine shopping center conglomerate that has put up some of the largest malls in the world. However, his holdings also included banks, hotels and real estate in the Philippines, as well as shopping centers in China. He had a net worth of $19 billion as of Friday, according to Forbes.com. Forbes said he was the 52nd richest person in the world last year, beating out bold name tycoons like Elon Musk, Rupert Murdoch and George Soros. Sy’s empire has earned its share of criticism from labor groups, who say it uses thousands of contractual hires to avoid paying higher wages and benefits that permanent workers are entitled to. SM officials have insisted that they do not engage in so-called “contractualization,” but say they hire “seasonal” workers for peak periods like Christmas, back-to-school and even weekends. Sy put up his first shoe store in downtown Manila in 1956, a business which later grew into a diversified empire. He stepped down as chairman of his holding firm in 2017, assuming the title of “chairman emeritus” and leaving trusted allies as well as his children in charge of his empire. It was a long journey for a man who came to the Philippines as a boy to work in his immigrant father’s variety store. Businessmen and friends of the family also expressed the deepest sadness with the passing of Sy. 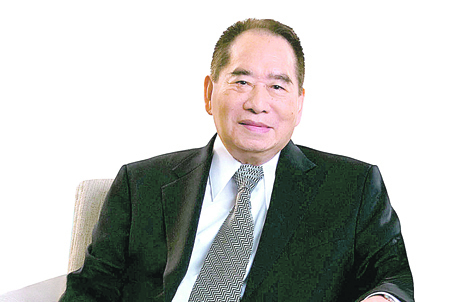 “Henry Sy is an icon. He is the real entrepreneur and we Filipinos are proud to benefit from all the businesses [SM and BDO] that he has built,” said Philippine Stock Exchange director Vivian Yuchengco. Belle Corp. vice chairman Willie Ocier also expressed sorrow over the death. “Mr. Sy was like a father to me. I feel very sad now,” Ocier said. Meanwhile, the Trade Union Congress of the Philippines condoled with Sy’s family and relatives. “We feel and sympathize with their grief and great loss,” TUCP president Raymond Mendoza said. Mendoza said Sy created jobs for thousands of Filipino workers and helped improve the quality of lives of ordinary working people and their families for many decades. “While Mr. Sy’s pioneering business model in the Philippine retail industry is world-class, he always strive (sic) to make sure his employees were always part of his thriving business,” he said. For his part, ALU-TUCP executive vice president Gerard Seno said the labor unions recognized Sy’s commitment to voluntarily regularize directly hired thousands of SM employees into SM over a period. San Miguel president and chief executive Ramon Ang himself also expressed admiration for Sy’s legacy. “He is a visionary. He is a good and honest person,” Ang said. Born in Xiamen, China, Sy started out by learning the ropes of the retail beside his father in the family’s convenience store. After saving enough money, Sy went out on his own and started his first business with a footwear shop. He opened the first Shoemart Store in 1958 where he offered a variety of shoes from both the country and abroad. He pioneered business systems remembered to this day by his loyal shoppers and employees. Under his stewardship, Sy built an empire under SM Investments which has investments in retail, banking and real estate. SM Prime is currently the country’s leading largest integrated real estate firm and has 71 malls in the Philippines and 7 in China as well as six hotels and eight office buildings. With assets worth over P2.8 trillion and more than 1,200 branches nationwide, BDO Unibank Inc. is the largest bank in the Philippines in terms of resources, capital, customer loans, deposits and assets under management. SM Retail is also the country’s largest retail company with over 2.7 million gross selling area. After their shop was destroyed during World War II, Sy’s father returned to China but Henry chose to stay in the Philippines. By 1972, his shops had branched out into selling all manner of goods, prompting the name to be changed to SM Department Store. But it was in 1985 that Sy made history when he opened his first “Supermall” in Manila. Spanning over 424,000 square meters, the mall included dozens of stores, numerous cinemas, restaurants, banks and other attractions that made it a one-stop shop for millions of Filipinos. This was just the start, as more of Sy’s mammoth malls popped up across the country, some even containing ice skating rinks, a rarity in the tropical country. Sy helped create mall culture in the Philippines, where steamy temperatures and the regular threat of torrential downpours can make outdoor shopping uncomfortable.